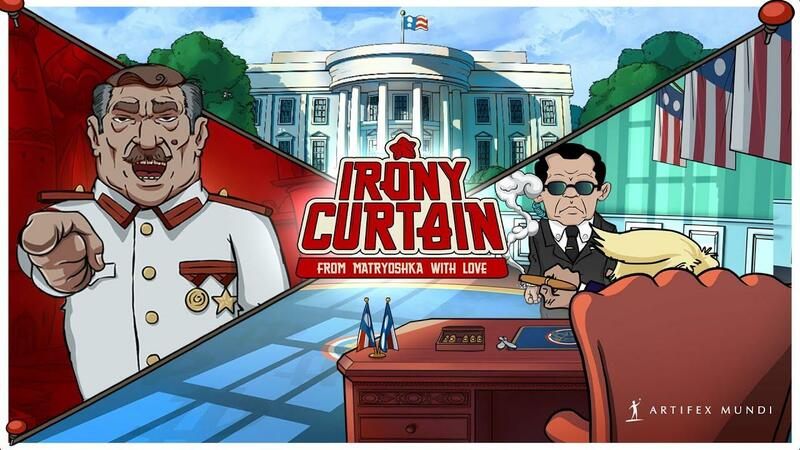 Irony Curtain: From Matryoshka with Love is a satirical p’n’c inspired by the classic adventure games. It smuggles you out of your comfort zone and throws into the middle of a Cold War spy intrigue – and there’s an even bigger game being played… Experience Matryoshka through Evan – a low-ranking, goofy journalist involuntarily pulled right into the middle of an espionage stand-off between two powers. Hop onto the wacky spy adventure, uncover secrets of the bizzare communist country (and the powerful capitalistic empire! ), witness the story full of unpredictable twists and turns and discover the true agenda of the mysterious Supreme Leader! Interested? I know I am! I love a bit of good humour. You can wishlist and follow it on GOG and Steam. No exact release date is being given yet other than Q2 2019, so anywhere from now up until the end of June. That looks pretty cool. Didn't really expect an actual point and click from Artifex Mundi. I suppose the last one already took a big leap towards the traditional P&C games, so maybe this is their way of appealing to a different audience.